AS USUAL, THE COUNCIL ON FOREIGN RELATIONS (CFR) – THE ILLUMINATI’S U.S. FOREIGN POLICY BRANCH – WAS IN THE MIDDLE OF THE INTRIGUE. The roots of the Vietnam disaster trace to World War II. At the “Big Three” conferences at Teheran and Yalta, President Roosevelt asked Soviet dictator Joseph Stalin if he would break his nonaggression pact with Japan and enter the Pacific war. Stalin agreed – on condition that the United States supply him with all the weapons and materiel his Far Eastern army would need for the expedition. Roosevelt agreed, and some 600 shiploads of Lend-Lease supplies were sent to Russia to equip the Soviet army to fight Japan. 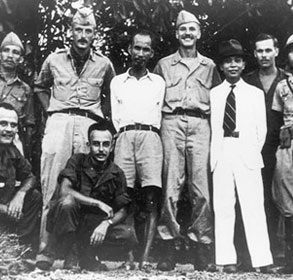 • At the 1943 Teheran Conference, President Roosevelt told Stalin that he was in “100 percent agreement” that after the war, France should no longer rule her colony Indochina (Southeast Asia). As I note in my new book Truth Is a Lonely Warrior, detaching European states from their colonies was an Illuminati postwar policy; thus enfeebled, Europe’s nations would be gradually degraded from sovereign empires to mere provinces of the EU that would morph out of the Common Market. 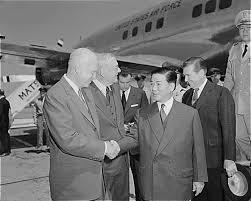 • The U.S. initially supported Ho Chi Minh. In 1945, the OSS – forerunner of the CIA – trained Ho’s communist army and provided him with guns and 20,000 cartridges which he used in his war against the French. At that time, the U.S. press extolled him; Newsweek (1946) compared him to George Washington. • In 1954, its troops hemmed in by Ho’s forces at the critical battle of Dien Bien Phu, France begged the United States to intervene. An aircraft carrier strike could have destroyed the communist artillery and averted disaster. But Secretary of State John Foster Dulles (founding CFR member, Rockefeller in-law, drafter of the UN Charter) dragged his heels, and the U.S. government refused. • Through a rigged plebiscite, Ngo Dinh Diem – darling of the Council on Foreign Relations – was installed as South Vietnam’s president. When he visited America in 1957, he was honored at a luncheon hosted by David Rockefeller and John D., Jr. at their Tarrytown, New York estate; the next day he addressed the CFR. The South Vietnamese detested the oppressive Diem, who drove many into the communists’ arms. 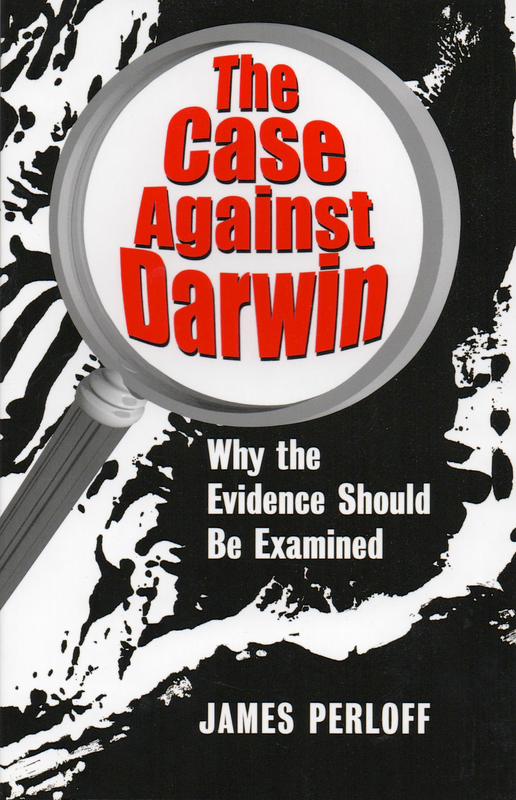 • CIA Colonel Edward Lansdale (CFR) was attached to Diem and oversaw the disarming and neutralizing of three powerful anti-communist groups in Vietnam: the Cao Dai sect, Hoa Hao sect, and Le Van Vien’s private army. This was described in Hilaire du Berrier’s Vietnam: Background to Betrayal (1964) and his intelligence reports. Having sponsored Ho Chi Minh and eliminated his opponents at every level – French, imperial, and local – our CFR policymakers now launched the tragic war. 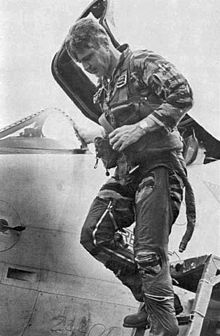 • President Kennedy authorized sending the first combat troops (about 10,000) in 1961 on the advice of the State Department’s Walt Rostow (CFR), who had returned from a “fact-finding mission” to Vietnam. Though the media branded Rostow a “hawk,” his father had been a Marxist revolutionary in Russia, two of his aunts belonged to the U.S. Communist Party, his brother (Eugene Debs Rostow) was named after Socialist Party leader Eugene Debs, and the Eisenhower State Department rejected Walt for employment three times as a security risk. The Kennedy administration only got him in by firing Otto Otepka, the State Department’s head of security. See The Ordeal of Otto Otepka by William J. Gill. • Before the “incident” even occurred, the Tonkin Gulf Resolution had already been drafted by William P. Bundy (CFR, Skull & Bones), Assistant Secretary of State for Far Eastern Affairs. Though called a “hawk” by the media, in the 1950s Bundy headed the defense fund for Soviet spy Alger Hiss. Hiss, of course, claimed innocence, but his guilt has been substantiated by release of the Venona files – FBI decodings of Soviet intercepts from the 1940s. 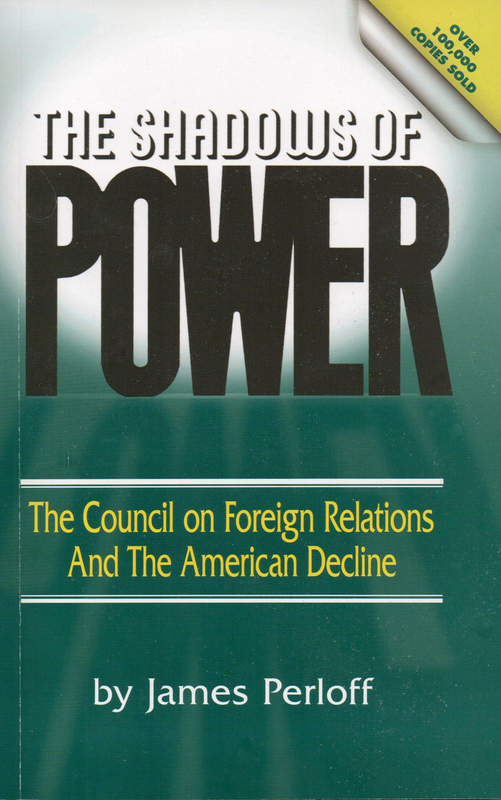 After Bundy left the State Department, David Rockefeller appointed him editor of Foreign Affairs, the CFR’s journal. 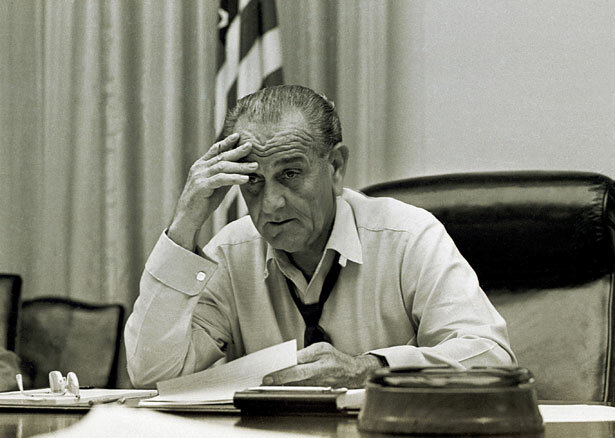 • Unknown to the public, President Johnson escalated at the urging of a secret clique called “the Wise Men”: 14 senior advisors, 12 of whom were CFR members. These meetings are described in The Wise Men, by Walter Isaacson and Evan Thomas, themselves CFR members. 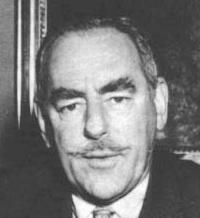 • The Wise Men’s leader, who led the demand for escalation, was Dean Acheson. Even before the United States recognized the USSR in 1933, Stalin selected young attorney Acheson to represent Soviet interests in America. While Truman’s Secretary of State, Acheson surrounded himself with communists, known spies and security risks – such as John Stewart Service, John Carter Vincent and Lauchlin Currie. He promoted Service even after the FBI caught him passing government secrets to communist agents. In the late 1940s, Poland’s new communist regime hired Acheson’s law firm to win U.S. recognition. 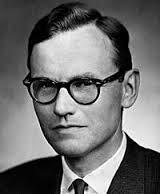 Acheson’s law partner was Donald Hiss – brother of spy Alger Hiss and a Communist Party member. Acheson was also William Bundy’s father-in-law! A small clique maneuvered us into Vietnam, and THEY WERE NOT RIGHT-WING “ARCHIE BUNKER” TYPES, as was so commonly claimed. 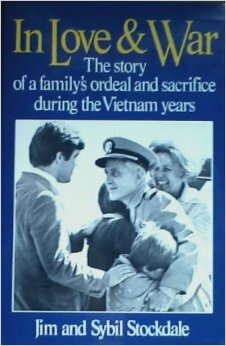 • In 1968, the “Wise Men” did a 180, informing Johnson that Vietnam was a mistake. Left holding the bag for the unpopular war, grieved by the betrayal, this is the true reason Johnson announced he would not run for reelection, shocking the Democratic Party. • In World War II, the United States fought on two fronts – Europe and the Pacific – and, with the help of our allies, defeated the extremely tough German and Japanese militaries in just 3 and 1/2 years. But we spent 14 years fighting little North Vietnam and lost. If you think this make no sense, you’re right. • Defense Secretary Robert McNamara (CFR) forbade the Air Force to strike over 90 percent of the strategic targets it requested to hit. When he left the Defense Department, he was made president of the World Bank. 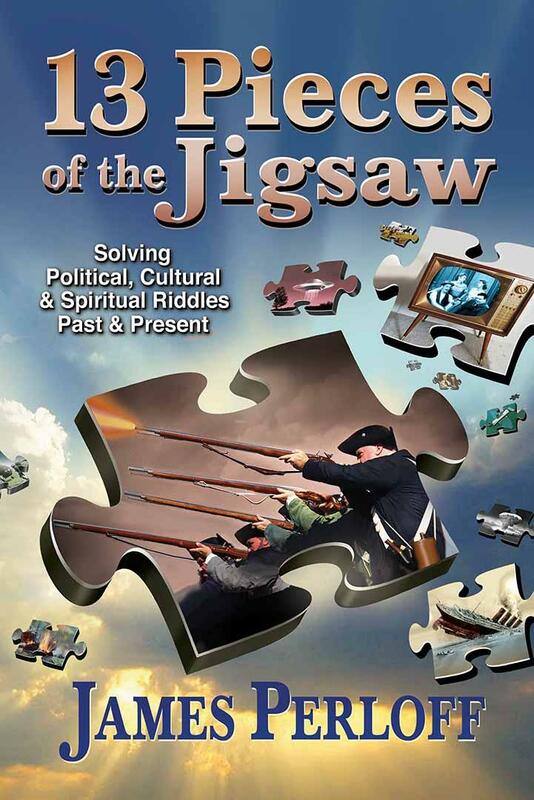 • According to the Rules of Engagement – not declassified until 1985, when they consumed 26 Congressional Record pages – American soldiers were under orders not to shoot first, but to wait until fired upon. If a pilot saw a MiG on the ground, he couldn’t attack – he had to wait until it was airborne and showing hostile intent. If a surface-to-air missile launch site was under construction, he couldn’t bomb it – he had to wait until it was operational. Trucks more than 200 yards off the Ho Chi Minh Trail (by which the communists sent supplies south) could not be bombed; forewarned of approaching American planes detected by radar, trucks simply pulled off the trail and resumed their trek after the bombs fell. Had we fought World War II under such restrictions, we would have lost. 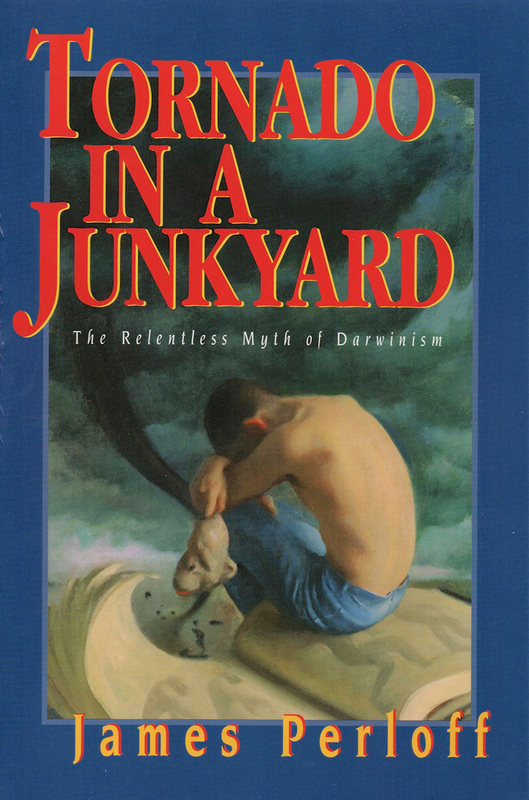 • In the March 1968 Science & Mechanics, Lloyd Mallan interviewed nearly a dozen retired high-ranking U.S. military officers. Each, queried separately, said the Vietnam War could be won quickly – in weeks or months – with the restraints lifted. Among their recommendations: (1) declare war on North Vietnam; (2) take the war directly against the North by invasion plus decisively bombing strategic targets; (3) blockade Haiphong Harbor, where North Vietnam received some 90 percent of its war supplies; and (4) block – not bomb – the Ho Chi Minh Trail with troops. Needless to say, nearly all their advice was ignored. At the convention, men from Business International Round Tables – the meetings sponsored by Business International – tried to buy up a few radicals. These men are the world’s leading industrialists and they convene to decide how our lives are going to go. They are the left wing of the ruling class. They offered to finance our demonstrations in Chicago. We were also offered Esso (Rockefeller) money. They want us to make a lot of radical commotion so they can look more in the center as they move to the left. Jerry Kirk, former member of SDS and the Communist Party, testified before the House and Senate Internal Security Panels: “The radicals think they are fighting the forces of the super rich, like Rockefeller and Ford, and they don’t realize that it is precisely such forces which are behind their own revolution, financing it, and using it for their own purposes.” When college students started burning American flags, they fulfilled a major Illuminist/CFR objective: destroying patriotism is prerequisite to world government. Posted in History, Image format and tagged CFR, Vietnam on February 6, 2014 by James Perloff.